Benton area drivers will have their hands full with the 2018 Jaguar F-TYPE, which offers plenty of options to choose from across multiple trims. While you’re sure to turn heads in the F-TYPE no matter which trim you go with, our Jaguar dealer has all the details on a few of the trim levels so you better know what to expect when you come into the dealership. 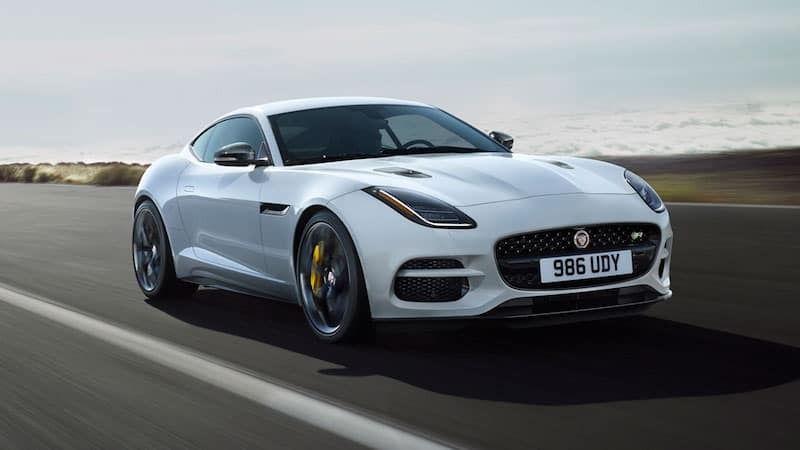 Check out what you get with the F-TYPE Coupe, The F-TYPE R-Dynamic Coupe, and the F-TYPE 400 Sport Coupe. All trims of the Jaguar F-TYPE come sporting performance tires for ultimate traction and cornering when you feel like letting your hair down on the road. The F-TYPE is geared towards more than just performance, though–with a standard backup camera, remote engine starts, memory seats, premium sound system, and even a WiFi hotspot, Jaguar has you covered when it comes to comfort, convenience, and entertainment as well. As loyal customers, you deserve nothing but the best. It’s why we pride ourselves on the customer reviews that Benton area Jaguar drivers have left us over the years, and it’s also why we will continue to provide unparalleled customer service. Contact us today to schedule a test drive of the F-TYPE or to ask any further questions about its trim levels.